Hey All! Time to prepare for Science Night! Science Night is a big deal at our school and we spend so much time preparing for it. 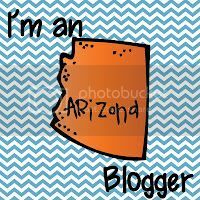 I thought I would share some ideas and information so you can take a look at this fun event. I just finished and posted my newest Totally Teeth Printables packet and I am so excited to share it with you. 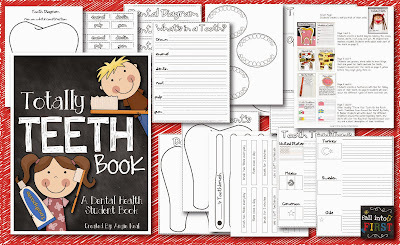 I created this packet to go with my Totally Teeth Student book pictured below. On Science Night, I hang a giant toothbrush for students and their parent to walk through. The kids LOVE this! To make sure my students are motivated to attend Science Night, and I am not spending the evening alone, I created this fun Guess Who??? 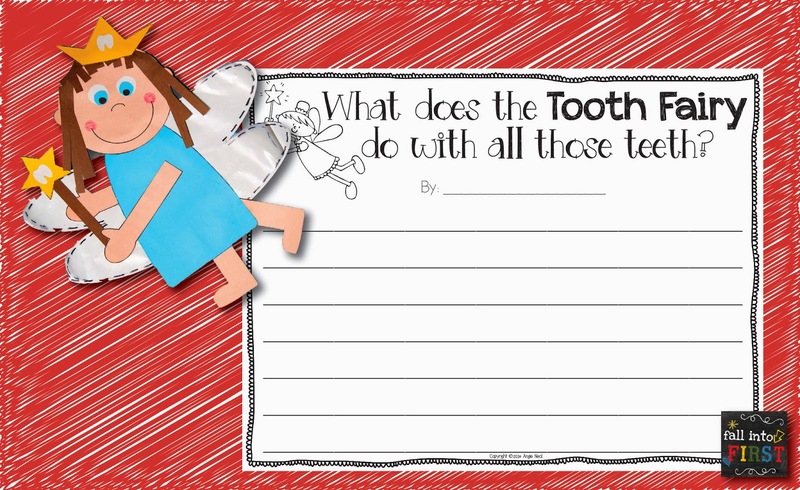 Tooth Edition activity. 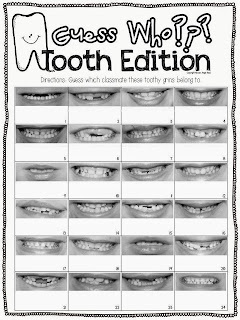 We practiced doing some toothy smiles and I took each students picture. I crop the picture so only their tooth grin is showing. 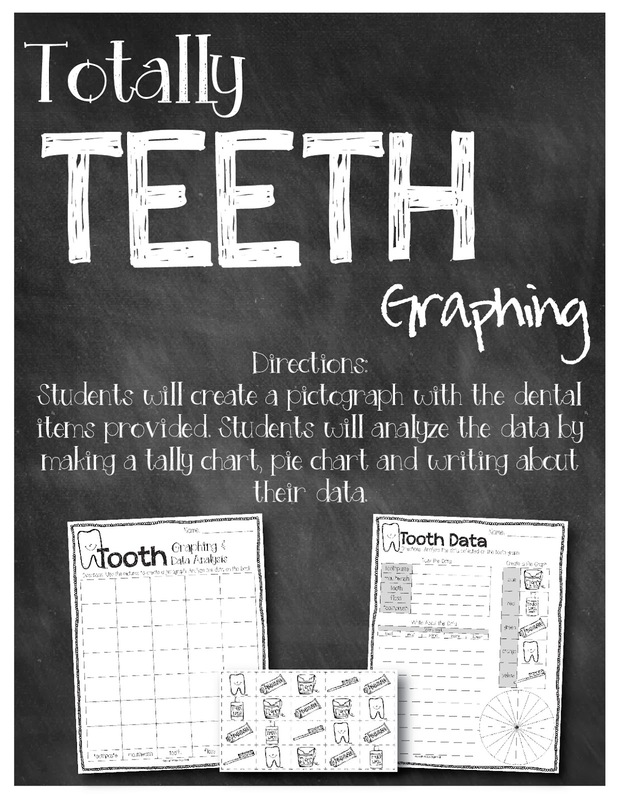 I open the template in Powerpoint, insert a table and randomly put each toothy grin into a cell. 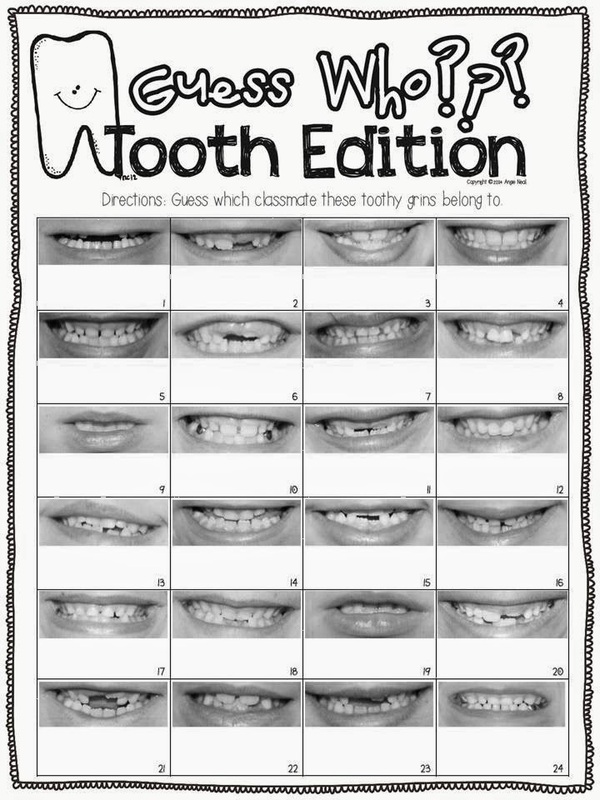 I copy one page for each students and they write their guess of who each smile is below the picture. Here is the catch: Students can only find out if their predictions are right when they come to Science Night. I hang the "key" on the board and the first thing they do when they walk in their room is run to the board to see how many they got right. So fun! The best part, most of them don't even correctly identify their own smile. HA! Students display their Totally Teeth Student book on their desk. 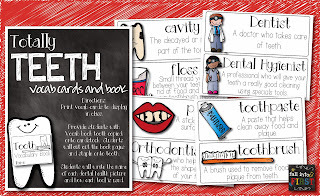 They share this book with their parents and discuss: Parts of a Tooth, Dental Do's and Don'ts, Tooth Traditions for Around the World and Tips for keeping their teeth healthy. 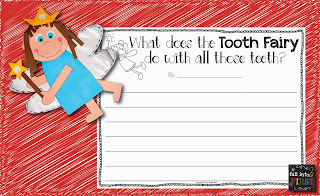 On the back bulletin board, we display their Tooth Fairy craftivity and writing prompt. 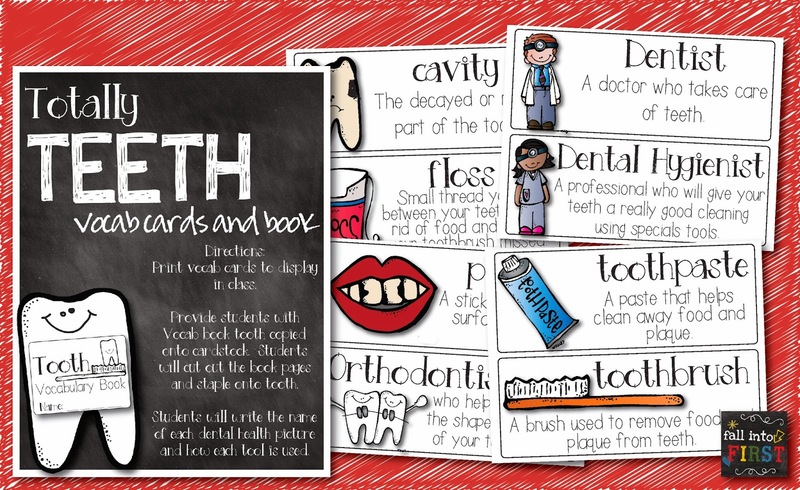 They tell their parents all about Dental Health Vocabulary with their Vocab book. 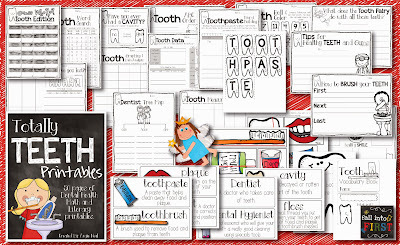 They tell their parents all about our January Math Tubs with Dental Health Measurement, Graphing and Data Analysis, Roll, Add and Color and Build-A-Word Scrabble. 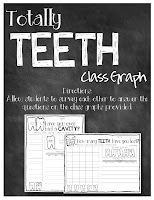 They also share our class graphs: How Many Teeth Have You Lost? Have You Had a Cavity? sorry me too. 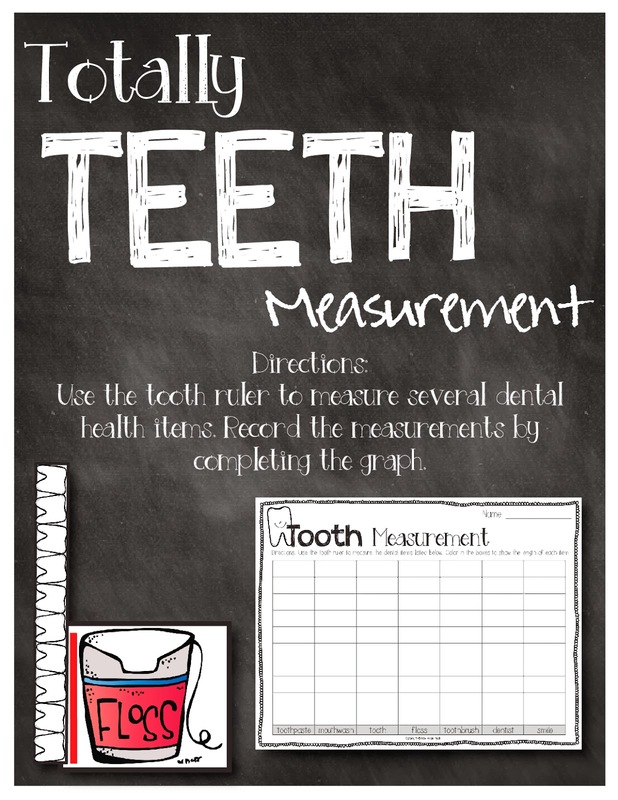 Dentist Day is in early March, love to have this prepared. cookwithbarb at aol dot com. I would love to know how to make this darling poster. Can you email me how you did this? 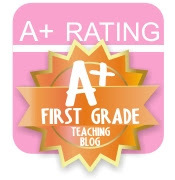 Thank you so much for sharing such a great idea! Thanks for shared your blog between us. It's really nice blog. I am also provide dental services if anyone want to get best dental service then concern with our Orthodontist Clinic Near Me. 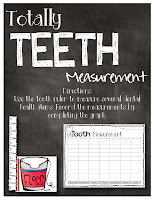 Here you will get best dental treatment.